"Time & Tide wait for none" is true to the last iota and character in the phrase even today and shall bear relevance in due course of time of evolution of universe. 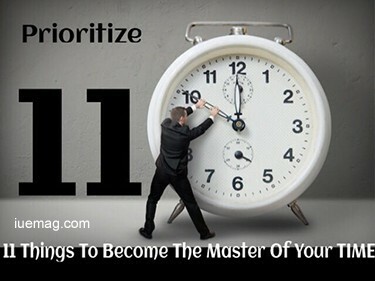 The greater possession today isn't just wealth or career success, instead it is the mastery over one's time and control on the priorities one keeps. What can a quality To-Do list do for you? It can keep you on track with best efficiencies promised. Making one can’t be a pain, but not making one is certainly a pain when you are dealing with multiple tasks of importance and then you have to put with failures of deadlines, targets, embarrassments of facing failed priorities of clients etc. 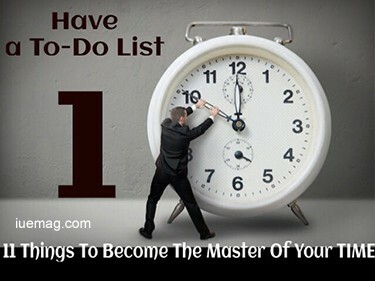 In my journey, in the last decade I have truly understood the power of having To-Do List. It simply keeps you aligned to your core focus and doesn’t leave you with a terrible “I have lost my way” look. Cut the unimportant things from your time-line that do not take you closer to your goals/dreams. Visiting an old friend whom you have never visited, getting your wardrobe organized, cleaning your backyard yourself, going for the long pending holiday are all the right things to-do but classify as diversions between the priorities of high importance. The point still is that they are not the unimportant things that I am talking about. Investing time in learning & developing skills/know-how that have no productive value for future, simply browsing the net reading up social media updates from a friend circle you don’t know or don’t care about, losing time on television sit-coms that make no sense and are fake in their creation to strike chords with the mediocre, spending time on trivial arguments or assignments that lead to no productive value are few of the unimportant things you might want to cut from your timeline. From the focus on the days and months shift your focus to hours and then minutes. It gets you to master your time. God is in details and I feel details are in smaller time intervals and not in weeks and months. We generally postpone things by days and weeks While we forget the greater assets are hours and minutes, those that do realize are obviously at the top of the ladder of all types of leadership. You hear Facebook talking about reducing load time of their site in milli-seconds, You listen to surgeons quoting minutes and seconds too, you listen to traders at NASDAQ or NSE or Wall Street talking of seconds that cost them millions of dollars. Self-timer feature in every phone has put everyone in position to time oneself. I use my feature extensively off late and I realize that it’s the most powerful tool with me and with everyone else too. Since, the very beginning of the decade of my work I realized that timing myself on every activity I engage in is very important. People who know me close, know that I prefer timing it all up (except sleep and holidays ;) both of which I just love with “no deadlines here” banner attached). Being time conscious merely can change the success standards for you and give you a more fulfilling life with better rewards and more time at disposal for priorities like family, friends, self and holidays. You can never do everything yourself and you must never try to. Do what you are best at and delegate the rest, simply because someone else can do that better and must do that indeed. This saves up your time for your core work and what you delegate is actually someone’s core work. Of course if there is none at disposal to do it, and the work is a bridge to bigger plans then you ought to complete it. We all think the calendar app in the phones is just an additional feature that they think might matter for us at some point, I feel it indeed is the one that matters the most and I have seen people use it very inadequately and insufficiently. Having a calendar and maintaining one really well, makes you make up for the memory losses, lack of reminders for major events, feeling burdened with too many things on head etc. Calendar allows you to know where you have time at disposal and where you don’t. Ideally, at any given point in time you must stay planned for at least a week (worst case). Great people are planned well in advance for many months to come and for years in broader sense. If you respect time, it returns the favor in due course of time. 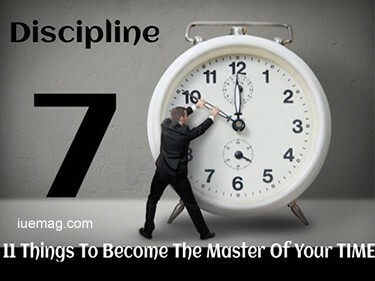 Though most of us find it difficult to get disciplined, it’s never a loss to keep trying till the end of your life. Failed attempt to discipline shall also get you more disciplined than before and hence it ain’t a loss at all. I myself have never been able to discipline myself in many aspects of life, but today I feel far better than I once did at how disciplined I was at doing things and following certain important routines at work or in personal life. If something needs an hour don’t give it a day, if something needs a day don’t give it a week, if something needs a week don’t give it a month and if something needs a month don’t give it a quarter. If it needs a day, give it half, if it needs half give it an hour or two; if it needs an hour, give it 45 minutes. I once jokingly said in a seminar while addressing a group of CEOs “get stingy with time and you shall be in a position to get liberal with money some day”. The entire hall had a good laugh and everyone knew I had a big point that got conveyed. Let’s understand that we have been well funded by almighty with an investment in our banks of “time”, we just need to nail our top-line and hold well our bottom line :). The 30 minutes of daily introspection is an investment that shall bear highest returns in long run for you. What went wrong and what went right is just not the part of these 30 minutes, there is much more to it. Remembering things better to better relations to correcting the loop-holes to having yourself balanced after act of great work and getting back to track is something introspection helps you achieve seamlessly. Make it a habit from today to introspect for 30 MINUTES. I do 7 hours of planning and more at a stretch to feel at peace for few months together. You can sit down for 15 minutes and make your week look easy and simplified. 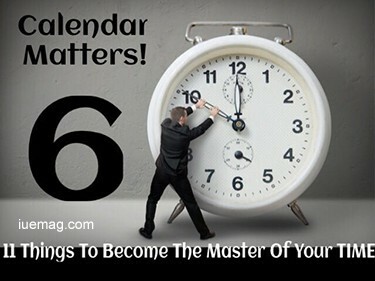 Planning has power to make you the master of your time. What you wish to do, what you do not wish to do, when you want to do and how much you want to do are all essentials you can’t delay setting into your plan and allocate the hours and minutes accordingly and you will see a terrific change in your approach to life. This word eludes mastery even till date when it comes to my life and I haven’t mastered it yet. But I feel for this word just the way I feel for discipline, it’s worth the effort each time and you only come back happier and more glorious. Each day set your priorities right and set them right for a year too. Know where you are headed and how much you wish to walk each day is the key, Know who are important and how much they mean too, know why you are doing what you are doing and where it is taking you. This awareness is the key to prioritize well, rather this is the result of quality of prioritization. 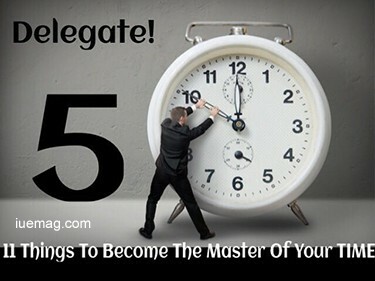 I hope you will master your time with these keywords & the world will see great leaders of time leading those that are seeking value, inspiration and leadership. 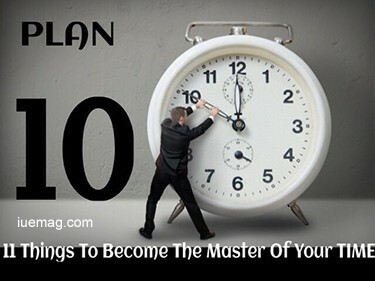 Many would read this but may never master this because they would either forget this or feel this doesn’t apply to their life or find it hard, whatever the case might be, those that are successful are for sure going to master these lessons. You have to choose whether you would master these or stay mastered by situations, circumstances and people throughout your life. Any facts, figures or references stated here are made by the author & don't reflect the endorsement of iU at all times unless otherwise drafted by official staff at iU. This article was first published here on 12th March 2016.